In September this year, the BMC had taken up works of connecting the surface level pipelines to the tunnel between Powai and Veravali section. 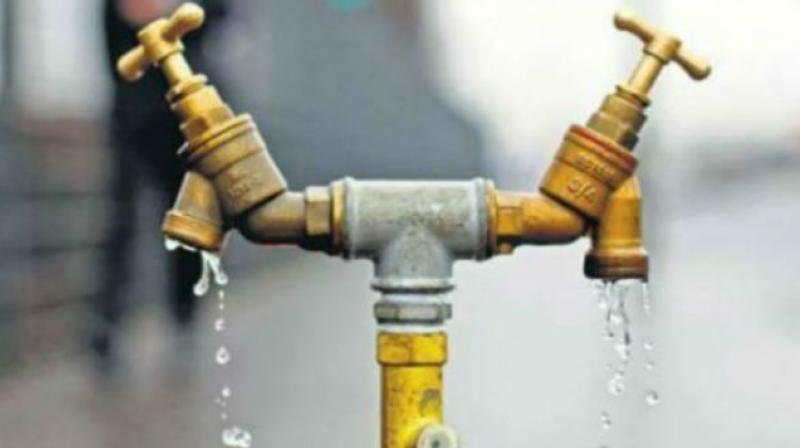 Mumbai: Not only the island city areas are reeling under the water shortage, but also residents of western suburbs have been complaining about the irregular water supply in their areas. Citizens of K-West ward, including Juhu, Andheri (west) and Vile Parle areas, recently protested at the ward office, complaining about inadequate and low-pressure water supply in their area. The citizens slammed the Brihanmumbai Municipal Corporation (BMC) administration over the inconvenience caused to the people due to inadequate supply of water. In September this year, the BMC had taken up works of connecting the surface level pipelines to the tunnel between Powai and Veravali section. It had announced water cuts in several parts of western suburbs owing to its up gradation work. However, corporators said that, even after completion of these works, several parts of the western suburbs, especially Andheri, Juhu, Vile Parle, are reeling under either low-pressure water supply or no water supply at all. Abhijeet Samant, Bharatiya Janata Party corporator from Vile Parle, said that to ensure regular supply of water, the BMC should take immediate measures considering that monsoon has not been sufficient this year. The city requires 4,200 lakh million litres of water daily. While at present supply of only 3,800 million litres have been happening every day.